On exactly this day last year I read a post that caught my attention and has been in the back of my mind ever since. My friend Monkey Gland at Jam Faced was writing about Eton Mess, a traditional English dessert named for the public Boys School, Eton College, where it is served on June 4th for the annual prize giving picnic that celebrates the birthday of King George III, the most beloved of the school's Royal patrons. [A 'public' school is actually a 'private' fee-paying school in Britain, there is nothing at all public about it, just in case you want to make yourself really confused]. The post surprised me because I hadn't actually ever heard of Eton Mess, perhaps because I am a bit of prole, I didn't go to public school and I grew up without all of the upper-crust trappings in life. In our family we had been getting our meringue fix by making the Antipodean Pavlova, a similar but far more beautiful dessert, named for the Russian ballerina and somewhat reminiscent of a fruit-laden tutu, instead. I can't help but wonder if Eton Mess was actually born of a failed Pavlova? Either way, the pairing of meringue, fresh fruit and cream in both desserts is a match made in heaven. Eton Mess is traditionally made from strawberries which are at their best, in England, in June, when the dessert is served. Conceivably you could use any other delicious, seasonal fruit of your choice. Last week, inspired by Maki I made a version that included homemade amaretti as well as meringue, amaretto whipped cream, handmade peach jam, sliced peaches and toasted flaked almonds. 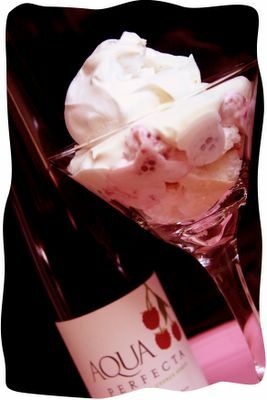 This week, I decided, since they are my favourite summer berry, to try a raspberry version of Eton Mess. Here follows the method I developed, but once you've mastered the meringues, you can be as creative as you want with the creamy party of the dessert. By adding cornflour and vinegar to the meringue, the result will be crispy on the outside and soft, gooey and chewy in the centre. - gently fold in the sieved cornflour and vinegar until well blended. - spoon blobs of the meringue onto a baking sheet lined with a silpat. - After 35 minutes, turn the oven off completely and leaving the meringues in place until the oven has completely cooled down. [I actually cook them just before I go to bed and leave them over night]. -wash raspberries and put in a bowl with lemon zest. Sprinkle with sugar to your taste and splash with some raspberry liqueur. - just before serving stir the raspberries into the cream. - Crush 10 of the meringues into the cream and raspberries and stir gently to mix. - divide into 10 bowls and then top each dessert with a remaining meringue blob. Please note this yields 10 modest servings. Eating twice this amount would not be a hardship to anyone, so you can adapt the serving sizes easily according to how many people you are feeding. Remember, meringue is very light and not too fattening, should you need an excuse for eating greater quantities of it! Uh...*Jeff raises hand* what is a "punnet"? If Eton Mess did stem from a failed Pavolva, it must have been a great moment for the cook when it was declared a success. I'm definately going to stick to this theory! wmm - a punnet is the little boxes berries come in. bonnie - I didnt really realise quite how enlgish i was being this week but i guess i am! Adore Eton Mess and Pavlova, however it's all Eton Mess by the time it hits your stomach, no?! I had a rhubarb eton mess at St John Restaurant in London on my last visit. A little too sweet for me, but tasty none the less. It was like a meringue broken into pieces mixed in with some whipped cream and rhubarb compote. 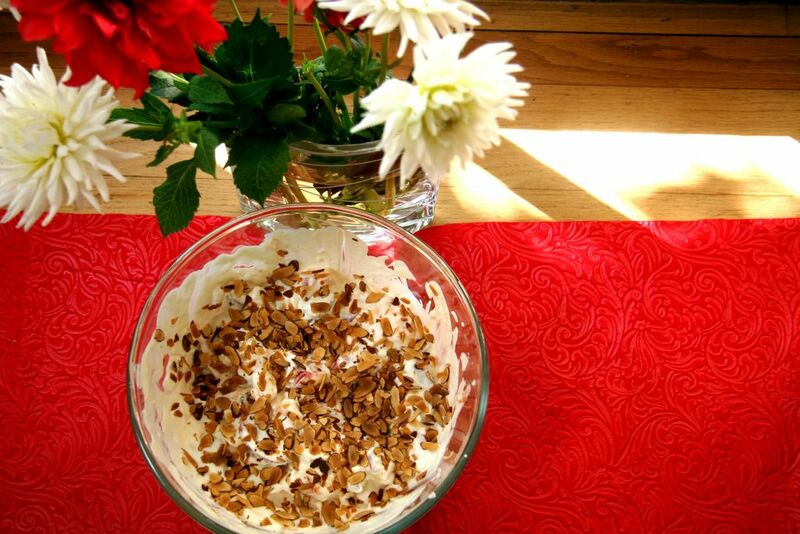 I recently read in olive mag that eton mess is a dessert as traditionally British as trifle! Bron - i quite understand, no one believes the English invented champagne! And you are right - by the time it hits the stomach. Kara - i have some rhubarb in the fridge, so what an idea you have given me! Definitely British, yes, but i don't think as common as trifle. Since I went 39 years without ever having heard of it, but you can be sure I knew what a trifle was by the time I was about 3! I couldnt find out info on how old eton mess is. I wonder if it came first, or the pavlova? Just need to get my two penneth in Sam - the name Pavlova was coined by an Australian chef who's dessert was based on a New Zealand woman's recipe for Meringue Cake he had seen in a magazine. I keep misreading it as "Elton Mess," and my tummy lurches. Funny, this is one of the few British desserts I actually have tried! Andrew - well it would be a start to send me your address! Barbara - thanks - I think that is what the article in the link says in a round about way. Whoever invented it, I am grateful! CookieCrumb - but I LOVE Elton! Melissa - now wattle seeds just sounds weird to me. I think of them as something hippy and vegetarian! Yum, this looks delicious! I bet you are right that Eton Mess started out as a failed Pavlova. Anything with "mess" in the title was probably meant to be something else first! speaking as an ex-public schoolboy (and also a prole since I was on scholarship) I too had never heard of an Eton mess until recently and then my thought was something along the lines of trust upper crust public schoolboys to have access to meringues and berries when they raid the school kitchens late at night! still prefer trifle too - I just find meringues too sweet. But puddings! Puddings are glorious! Just stumbled across this post, saw "Eton mess" and immediately wondered how people outside of my school have actually heard about it! We tend to have it quite a lot in the Summer Half (term), but these days it's been reduced to just cream and strawberries! Jeff!!! How odd it is to find you here. I love Eton Mess. I am almost as addicted to Meringue as i am custard!